What did the left foot say to the right foot? I am Groot! 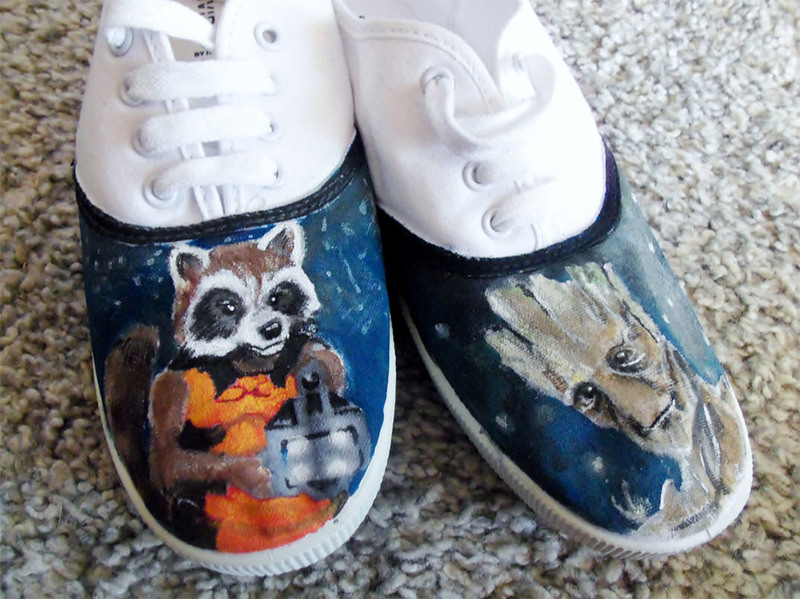 At least that’s what happens if you’re wearing these handpainted Guardians of the Galaxy shoes by artist Shauna Rust. 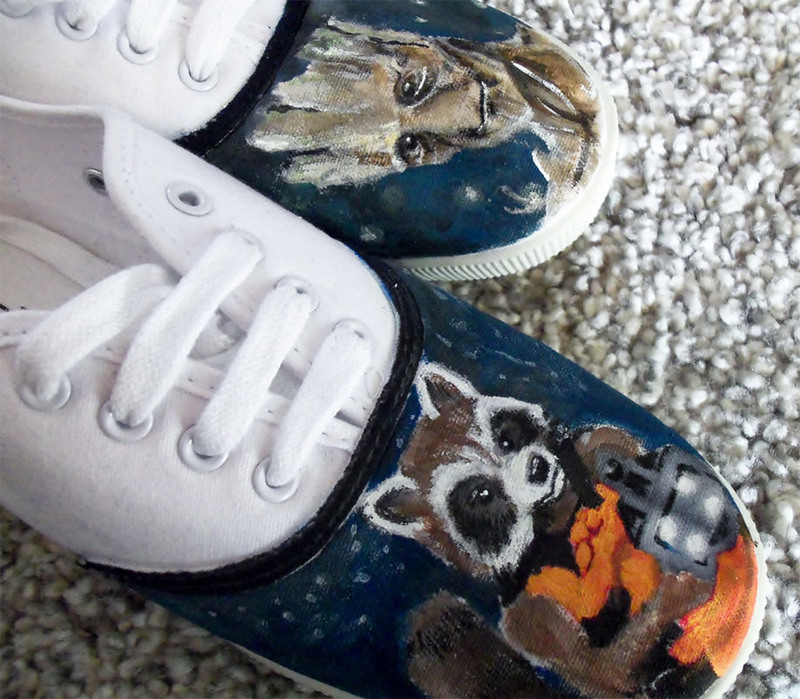 I love how she did such a great job capturing the personalities of Rocket and Groot on these canvas sneakers. The pair shown here can be yours if you happen to wear a women’s size 9. Otherwise, she can custom paint you a pair in two to three weeks.